See a special performance by Houston-based Lisa E. Harris, a.k.a., Li Harris. Harris is an interdisciplinary artist, performer, and composer. She was classically trained at the Manhattan School of Music in voice and opera. Harris’ work focuses on the energetic relationships between body, land, spirit, and place. She uses voice, theremin, movement, text, and new media to explore healing in performance. 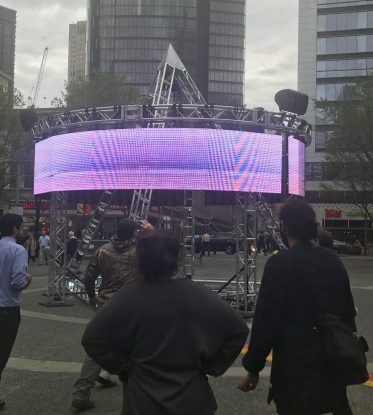 This event is part of the 2019 Market Square Public Art installation, Streaming Space. To learn more about the project, please visit: MarketSquarePublicArt.com.